First Air Mail Flight by Robertson Airplane Service Co.
Wedell-Williams Air Serve Takes over Contract of Robertson Airplane Service Co. 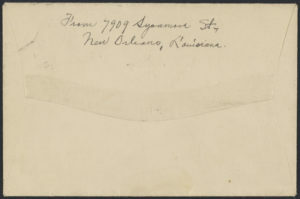 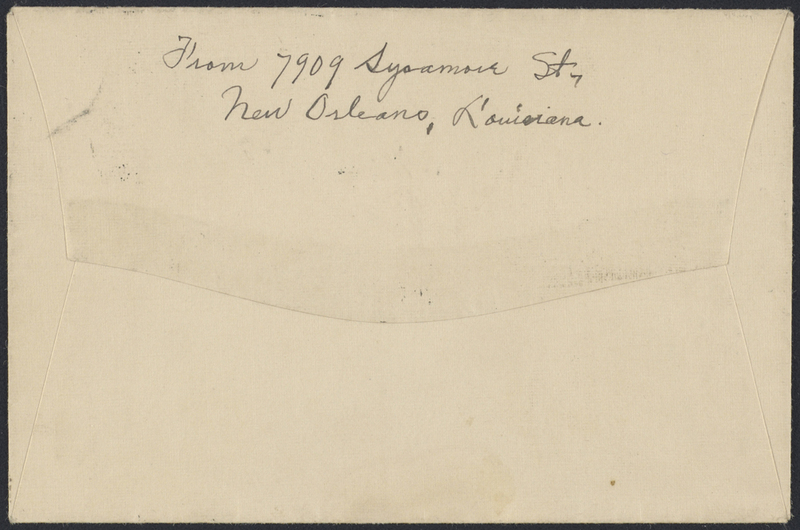 Source: Alfred S. Lippman Aviation Postal History collection, Manuscripts Collection 1079, Louisiana Research Collection, Howard-Tilton Memorial Library, Tulane University, New Orleans, LA 70118. 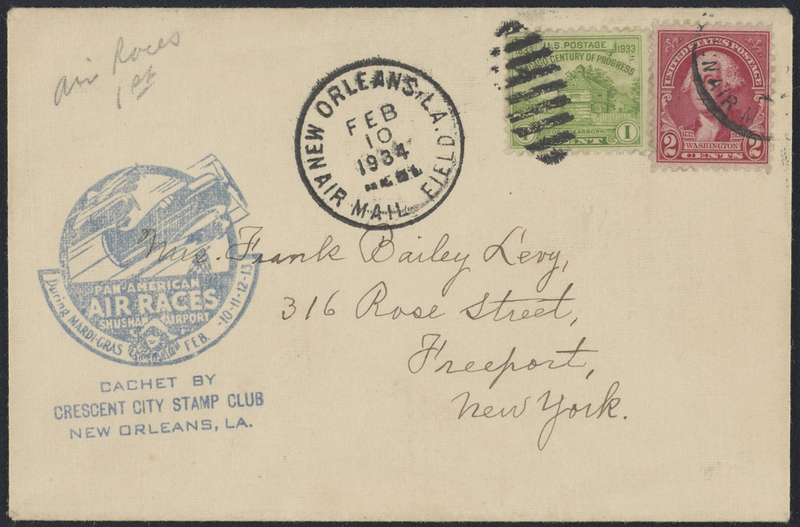 “Pan-American Air Races, Shushan Airport, During Mardi Gras, Feb. 10-13.” Postmarked February 10, 1934.